Why choose dental diode laser from Zolar? The Photon series of dental diode lasers is FDA approved; features a Multilingual Interface that makes it acceptable to a large number of audiences. The portable power module is also a boon as it can work wireless 3.5-4 hours with battery back-up making usage a whole lot easier. Needless to say, password protected feature provides great security to the users of this product. These features provide added benefits to the dentists as these world class products offer superior usability as the top dental diode laser. Great touch interface and wireless foot pedal advanced features of PHOTON PLUS Dental Diode Laser make it one of the most wanted laser products in the market. 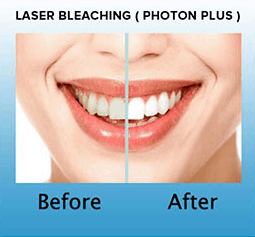 The Photon Plus Dental Diode Laser is surgical dental device, intended to use for excision, incision, coagulation, removal of Fibroma, Granulation tissue, Soft Tissue crown lengthening, canker sores, bleaching, tooth decay, discolorations and oral soft tissue dental procedures. Herpetic Lesion Treatment using Zolar Dental Diode Laser – Dr. Glen Van As. Gingivectomy using Zolar Dental Diode Laser – Dr. Glen Van As.